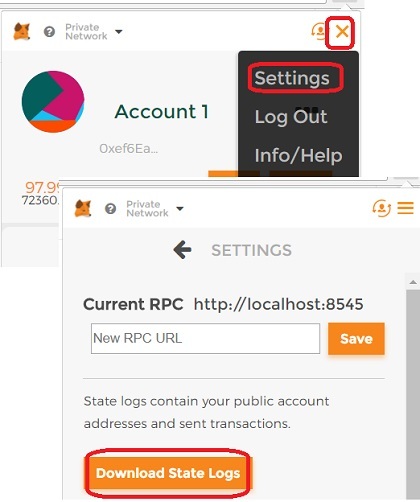 This section describes how to view account QR code in MetaMask. If you want give your account QR code for others to send you Ether money, you can retrieve it from your MetaMask wallet easily. 1. On the MetaMask wallet, click "..." next to the account name. 2. Select "Show QR Code". You see the QR code displayed. The picture below is a real QR code of my personal Ether account. You are welcome to use it to donate some Ethers to my account!